In the framework of the joint EU-funded project, International Partnership for Human Rights (IPHR) assisted SOVA Center for Information and Analyses with the preparation of a summary of the report “Old Problems and New Alliances: Xenophobia and radical nationalism in Russia and efforts to counteract them in 2016,” which was published in March 2017. 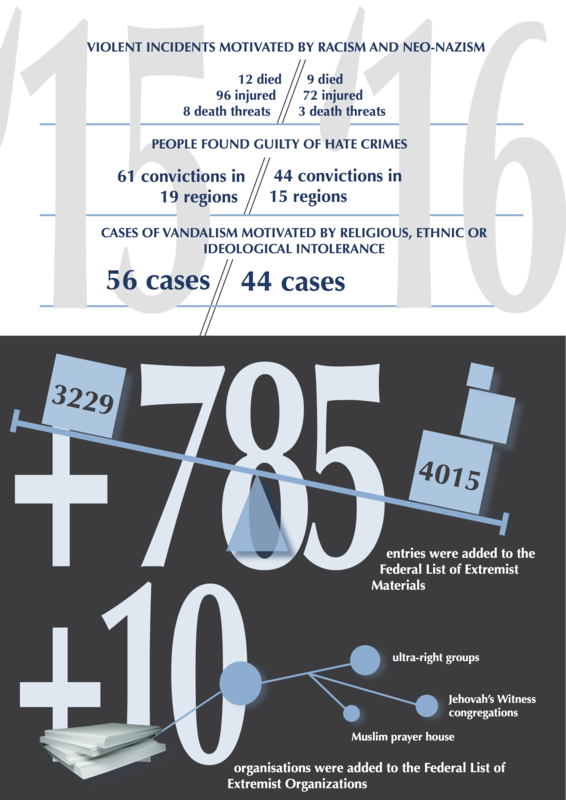 The document summarizes key developments covering such issues as xenophobia and radical nationalism, freedom of conscience, and misuse of anti-extremist legislation in Russia in 2016. 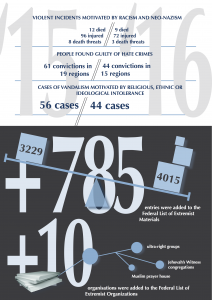 The brief also provides overall recommendations on anti-extremist policy, countering hate crimes and protecting freedom of conscience to the Russian authorities.